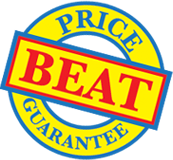 Low melt laminating film backed by our price beat guarantee! The cost-effective way to laminate batches of documents quickly. Protect and enhance all shapes and sizes of document. Available in 25, 57 and 76mm core diameters to fit all main brand machines. Sold in boxes of two rolls. Always follow your machine manufacturers instructions for setting the operating temperature to ensure effective lamination. Select from the drop-down options in the 'easy ordering' panel below and then add to your basket. If you then want to buy a different type of laminating film after you've added one to your basket, simply click on the reset button and select your new options. 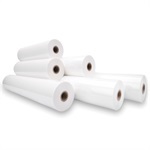 If you don't want to use the 'easy ordering' product selector panel, you can simply buy from the list of laminating film products below.